Being a blogger that focuses mainly on family and children, toys are a big focus for me! I love getting hold of old toys that we enjoyed as children, and sharing them with children of this generation! I already have my old dolls high chair and some cool old Fisher Price toys that are enjoyed every day in my home. But I do remember that a lot of toys of my era contained elements of secrets! It seemed to be a bog selling point back in the 1980’s! 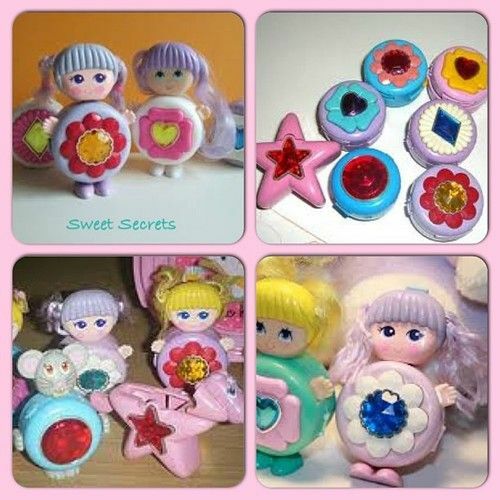 The first I remember are “Sweet secrets”. They were a bit like Transformers with a main body section and fold out elements that turned the toy in to an animal or person. They usually had pretty gems on the front and some were cleverly incorporated in to useful things like a comb or mirror. The second toy I remember is “Keypers”. They were usually snails that opened with a key for you to put treasures inside and they often had a little creature hidden inside too. These were called Finders I believe. I also remember a big white swan. Keypers keep your secrets safe inside! “Polly Pockets” were another toy that held secrets inside. Little secret worlds for you to explore. You could take them to your friends house and have little imaginary play sessions. I had a load of these sets up until very recently when I thought I would pass them on as they were not getting as much play anymore. The little worlds inside these pods were really intricate and a lot of detail had been added. 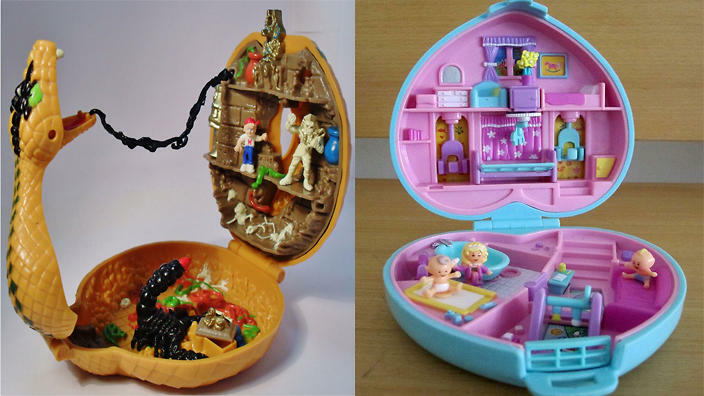 There was a Mighty Max version of these as well which were also really intricate! They had little shooting cannons and everything. 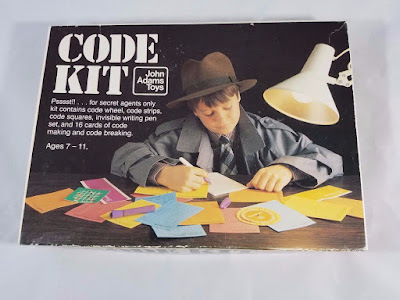 Then there are all the “Spy sets” that came out and still seem to be popular now! Magic invisible ink to write your secret messages to friends and then they used a special light to see what you had written. I had hours of fun writing messages for friends and knowing no one else would be able to read them! It also led me to invent codes to share with friends too. Then we would spend time deciphering the message! 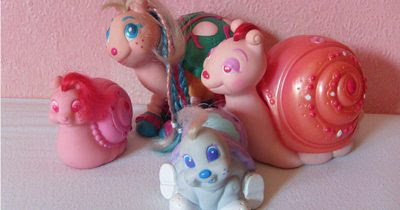 What toys from your childhood still tick in your memory?